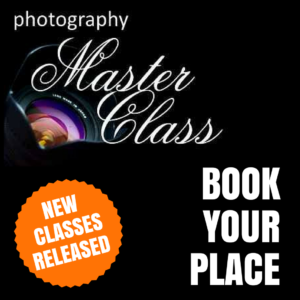 Due to the unique nature of the Photography Masterclass presentations, we are sometimes subject to unavoidable changes to class venue, dates and times. Whilst we endeavour to ensure that changes to your class are not necessary, circumstances can sometimes arise that are beyond our control. it is important that you refer to the company you purchased your voucher from in regards to your options. Class dates, times and venues are subject to availability. 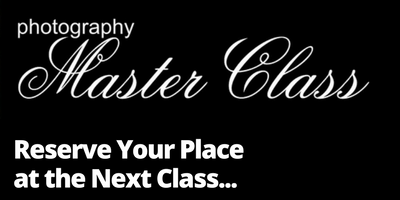 Class dates, times and venues may change due to unforeseen circumstances and at the sole discretion of Photography Masterclass.In the unlikely event that your class time changes or is SOLD OUT and you are unable to attend the revised date or time, your voucher or ticket will remain valid for attendance at any future Photography Masterclass event throughout Australia, however, refunds can not be provided. If you fail to attend your registered class without a minimum of 48 hours written notice via our support desk or a valid reason will result in forfeiture of your ticket or voucher. Venues will always be conveniently close to the CBD in your city, however the exact venue may not be confirmed until the week prior to your booking in order Occasionally changes are necessary due to unforeseen circumstances at the venue or to better cater for the number of people attending. Other terms and conditions may apply to Special priced deal or discount vouchers as published by the company selling or providing you with your voucher. These conditions are published on the vendor’s website at the time of purchase and printed on their voucher provided to you. Redeeming a deal voucher as payment on this website will constitute your agreement and acceptance of the above terms and conditions. By using a deal voucher as means of payment for a ticket to attend a Photography Masterclass here will mean that your voucher has been effectively used and it’s full value will be redeemed as payment for your ticket. Your deal voucher will then be void and retain no further value. 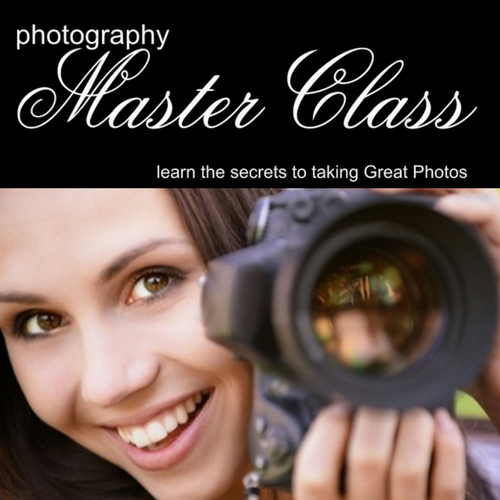 Once your voucher has been redeemed and therefore used as payment for a ticket via the Photography Masterclass Website :http://photographymasterclass.com.au/redeem all the above conditions apply and refunds will not be permitted. under any circumstances. Nursing Mothers are required to make alternative arrangements. Class Commencement TimeAs we attempt to run strictly to our scheduled start time, attendees must plan to arrive a minimum of 15 minutes prior to the advised class commencement time to allow for registration. **Late arrivals may be refused admission or NOT be granted admission until a suitable break. By proceeding to purchase a ticket for Photography Masterclass you are acknowledging that you have read and understood these terms and conditions and agree to be bound by the same.